Shrove Tuesday may have been and gone, but did we ever really need a reason to justify eating a stack of pancakes (or crêpes) fresh out of the frying pan? 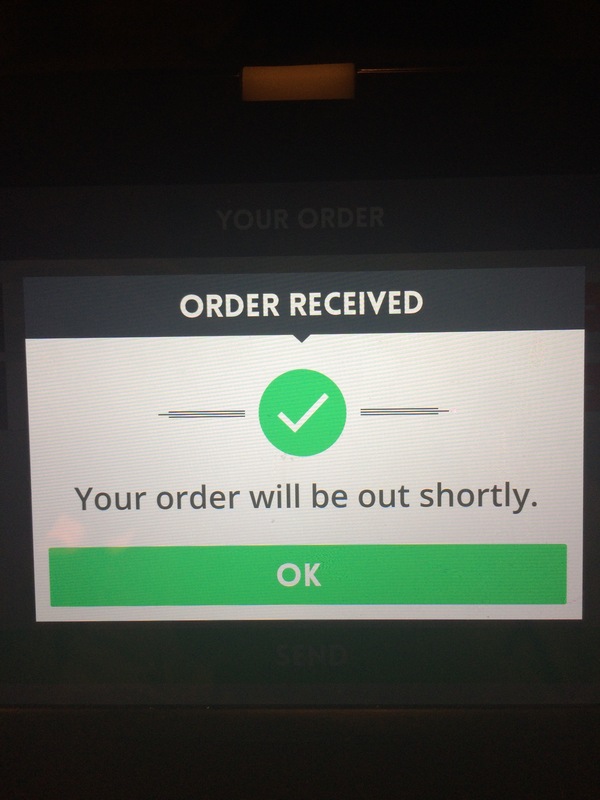 Obviously, there is only one answer to this: non. 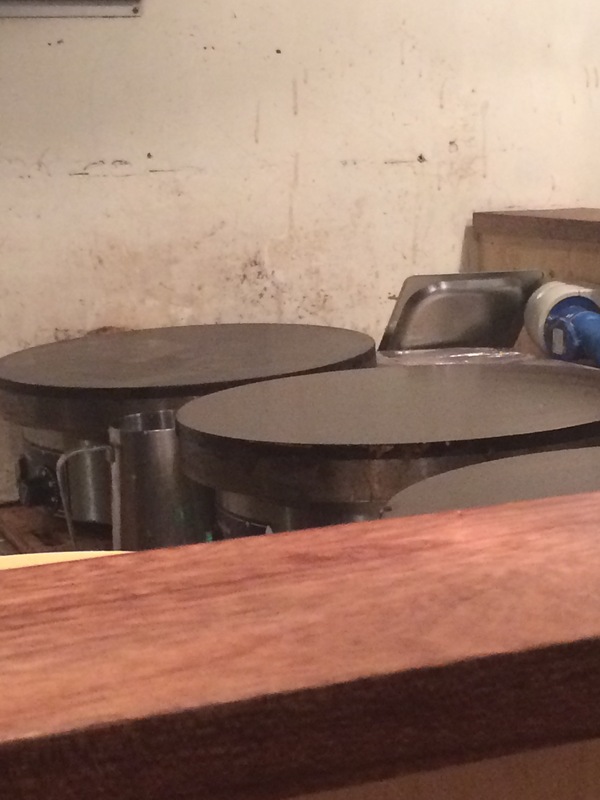 And if you thought that you had to cough up for a Eurostar ticket to find the tastiest crêpes, think again. 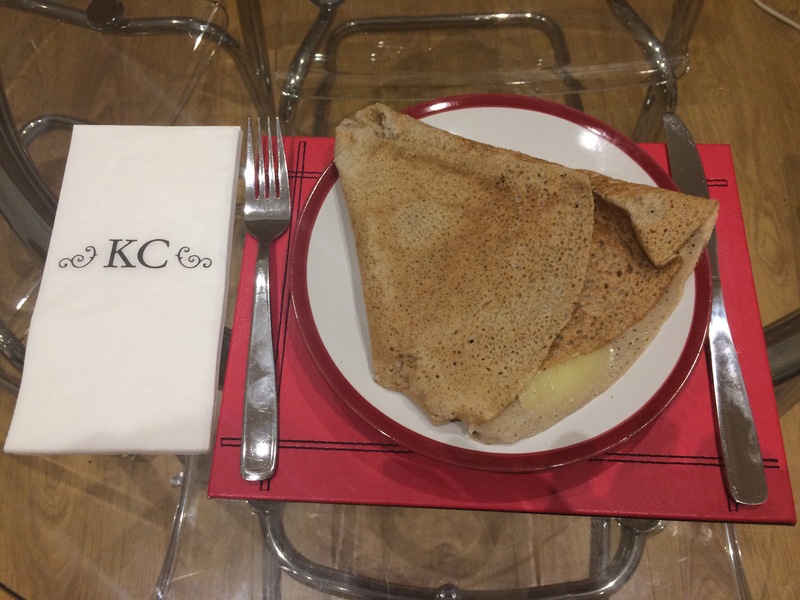 The UK more than holds its own when it comes to these golden discs of deliciousness – and below are a few of the best crêperies you’ll find outside of France. 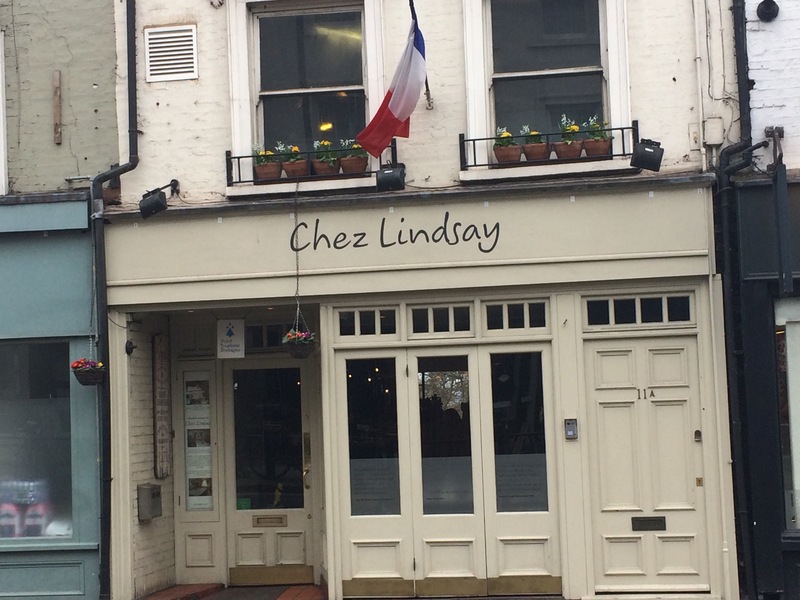 If you ever find yourself in Richmond, make sure you stop for crêpes at Chez Lindsay. Check out their website here for their menu and more information. 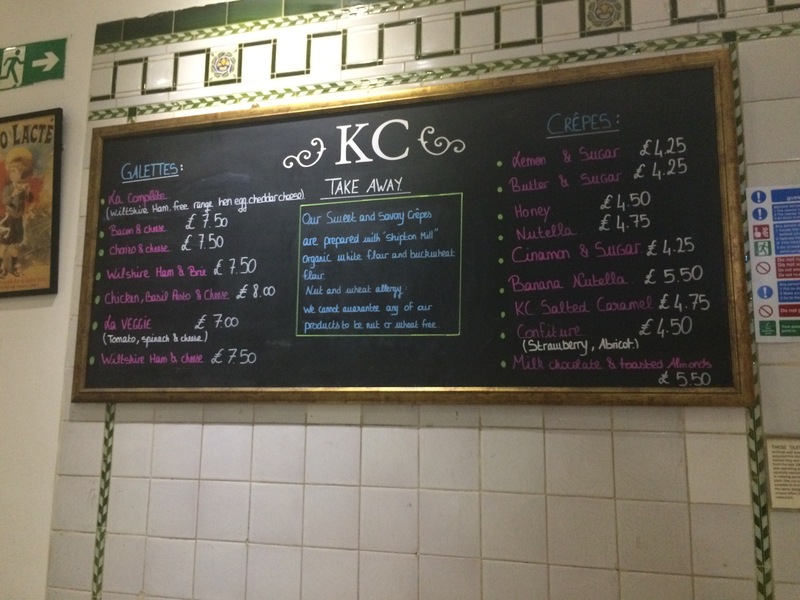 Not far from Richmond train station and with great crêpes, it’s worth visiting southwest London for this place alone. 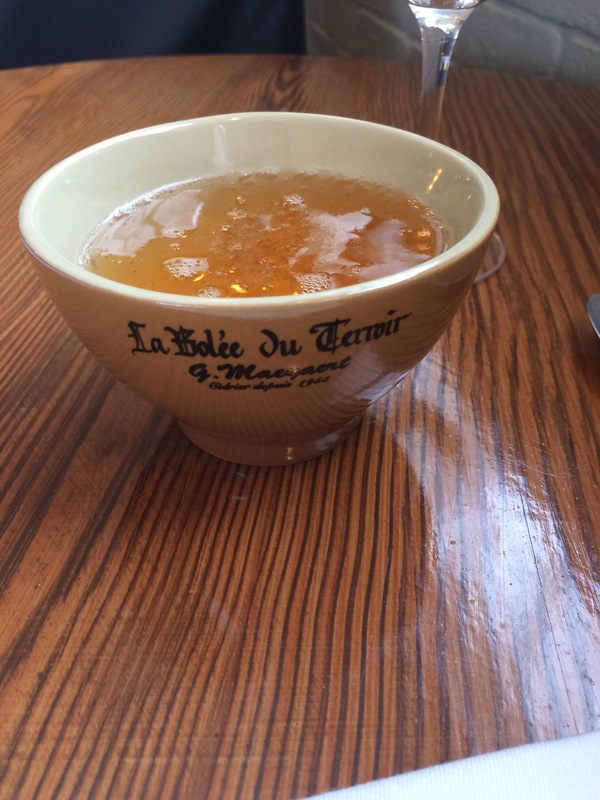 For the full French experience, try a cup of their tangy apple cider with your galette (savoury pancake) or crêpe (sweet pancake). 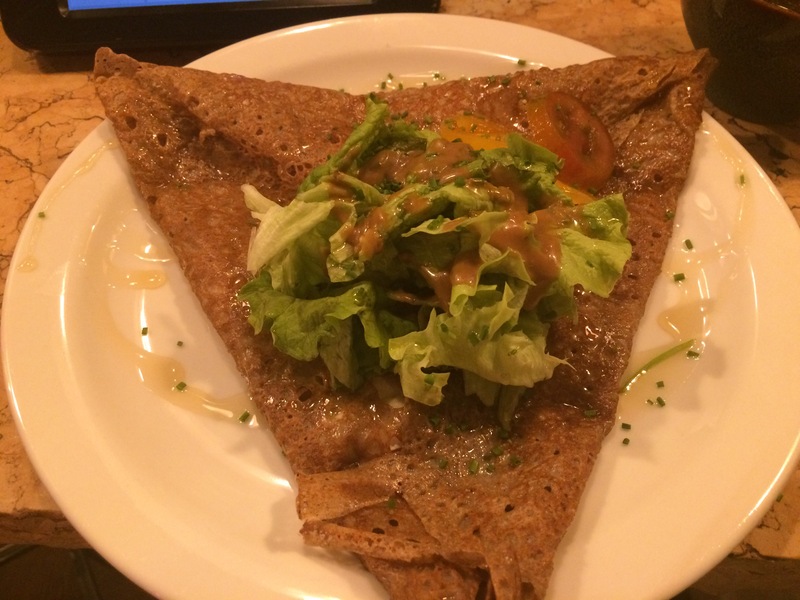 Even better, the restaurant makes its galettes the proper French way, using buckwheat flour for a deep and nutty wholegrain flavour. And as an added bonus, in case you needed any more persuading, buckwheat flour’s gluten-free! 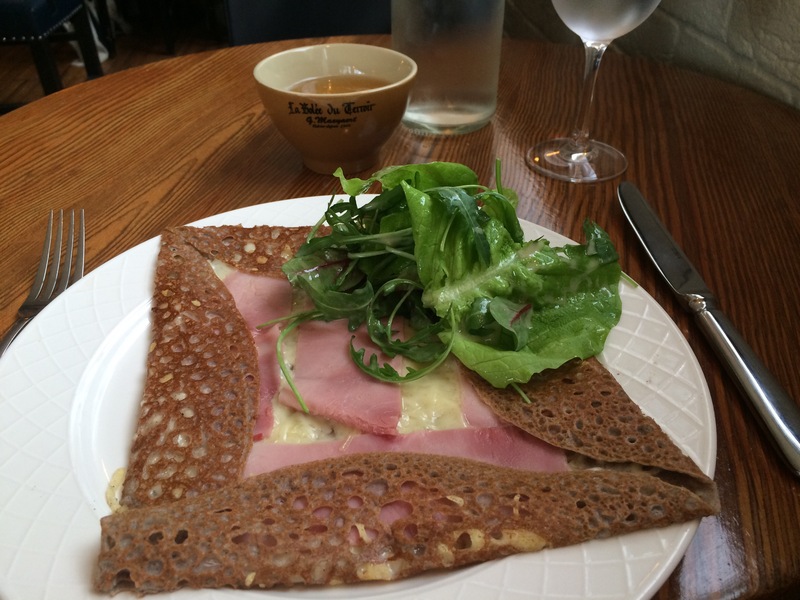 I tried the ham and cheese galette, which came with a small salad with a light dressing to cut nicely through the salty meat and creamy cheese. Address: 11 Hill Rise, Richmond TW10 6UQ. Opening hours: Open every day from 12:00 to 22:00. 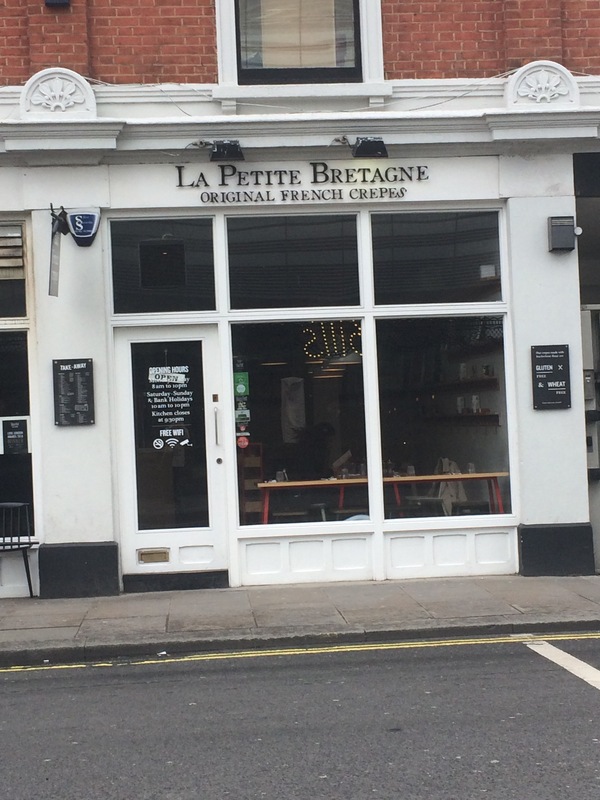 When you visit the aptly named La Petite Bretagne (‘Little Britanny’), which is popular with French customers and staffed by French speakers, it’s easy to forget that you’re still in west London and not somewhere in the middle of France. 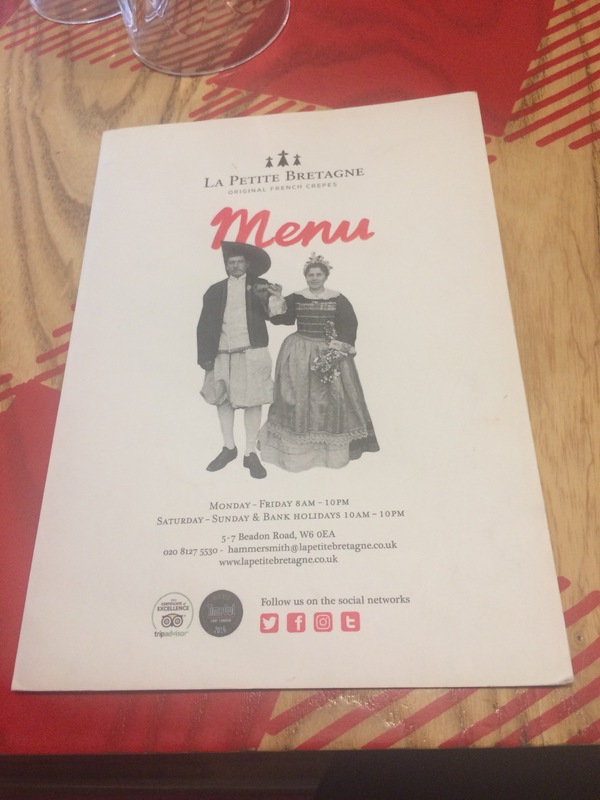 Check out their website for more information and to feast your eyes on their amazing menu. 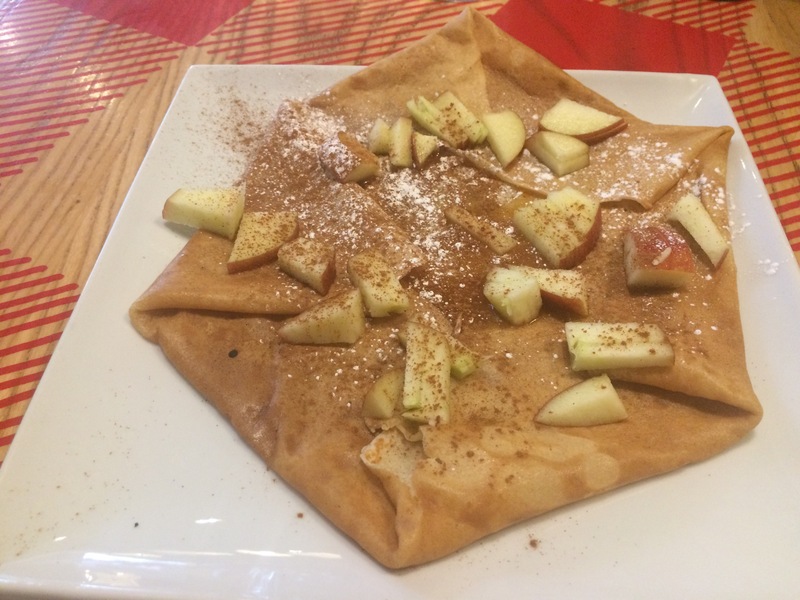 I had the ‘Breton Treat’, a crêpe filled with apples and salted caramel, and finished off with a sprinkle of cinnamon. The rich buttery caramel was balanced out well by the sharp apple slices and warm spicy cinnamon Sweet and salty caramel balanced out perfectly by tart apple. Miam. Address: 5-7 Brandon Road, W6 0EA. Opening hours: Open from Monday to Friday from 08:00 to 22:00 and on weekends from 10:00 to 22:00. 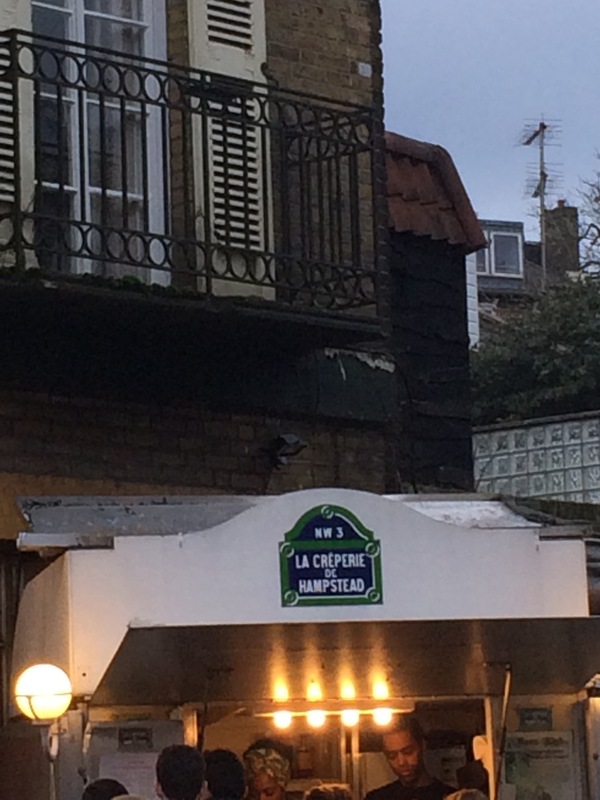 Slap-bang in the middle of Frenchie enclave South Kensington, home to the French Consulate, the Lycée Charles de Gaulle and the Institut Français, is another Gallic institution: the Kensington Crêperie. Takeaway and eat-in options are both available here, with plenty of seating if you fancy whiling away some time people-watching just across the road from Boujis, the oh-so-exclusive nightclub favoured by our very own Royal Family. 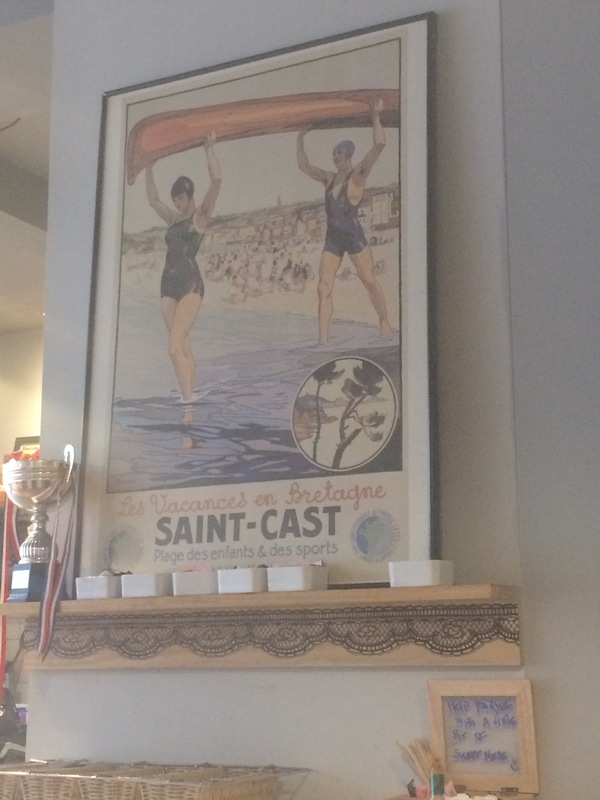 Many of the staff here are also French-speaking, so if you’re looking to practise your French or are looking for a way to make French exam revision less painful, this is the place to be. (The same could also be said for most of the other places on this list)! 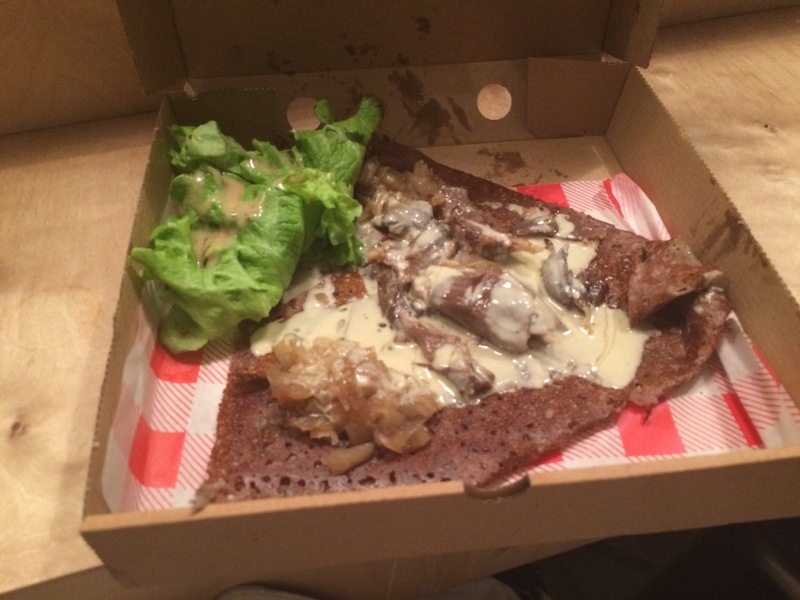 When I visited, I got the bacon and cheese galette and the milk chocolate and almond crêpe to take away. Yes, my arteries are probably beyond help, but it was worth it. Address: 2-6 Exhibition Road, South Kensington SW7 2HF. Nearest tube station: South Kensington. Opening hours: Open every day from 09:30 to 23:00. 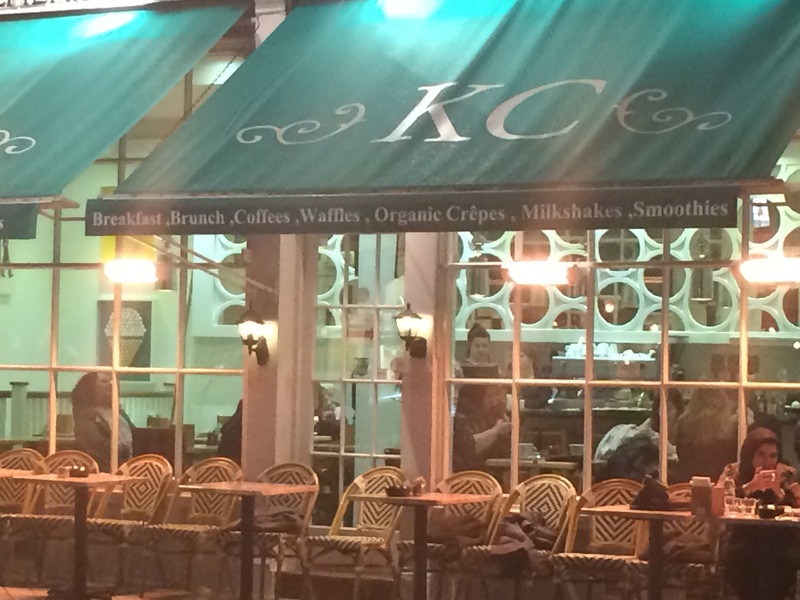 This three-floor haven for crêpe and cider lovers is close to the Theatre Royal Drury Lan and to Covent Garden market. 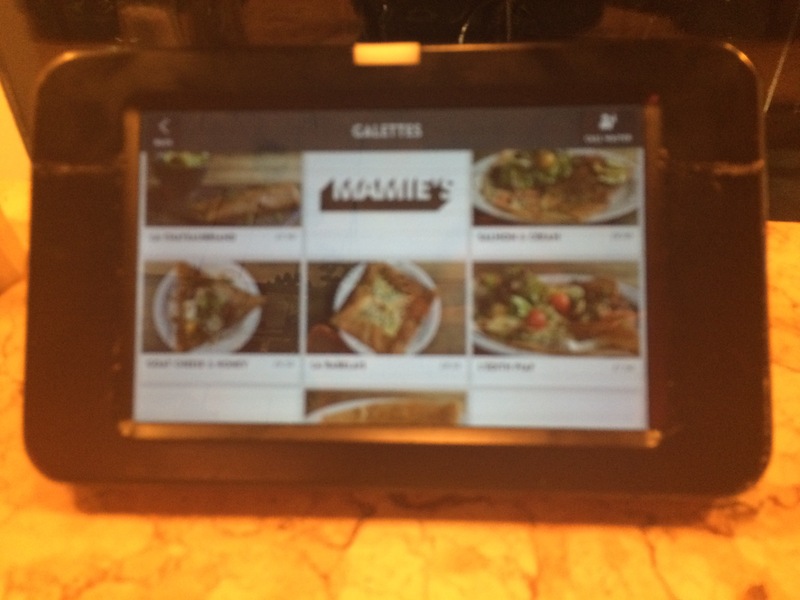 There are tablets on each table for customers to place their orders, which come quickly, are off the scale of deliciousness and (most importantly?) are eminently Instagrammable. 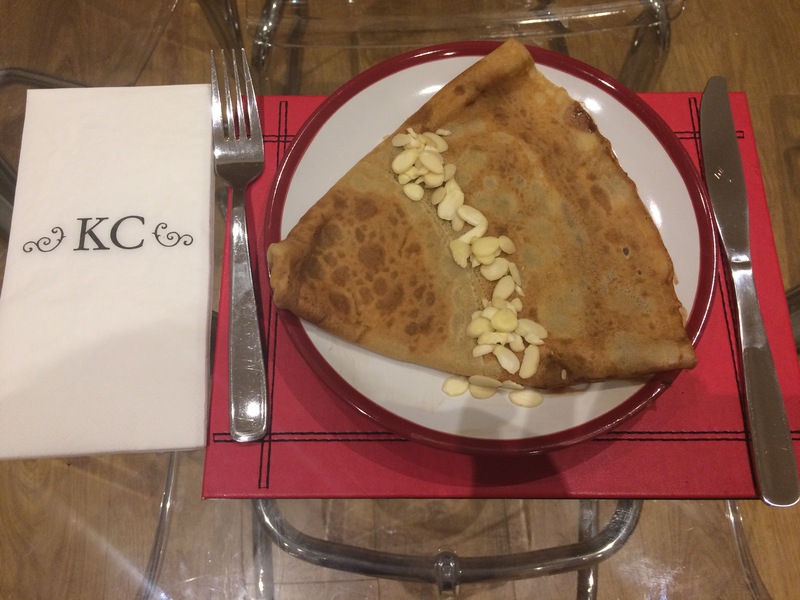 Not wanting to do things by halves, I started with a goat’s cheese and walnut galette and a cup of cider before finishing with a pear and chocolate crêpe with a serving of walnuts. 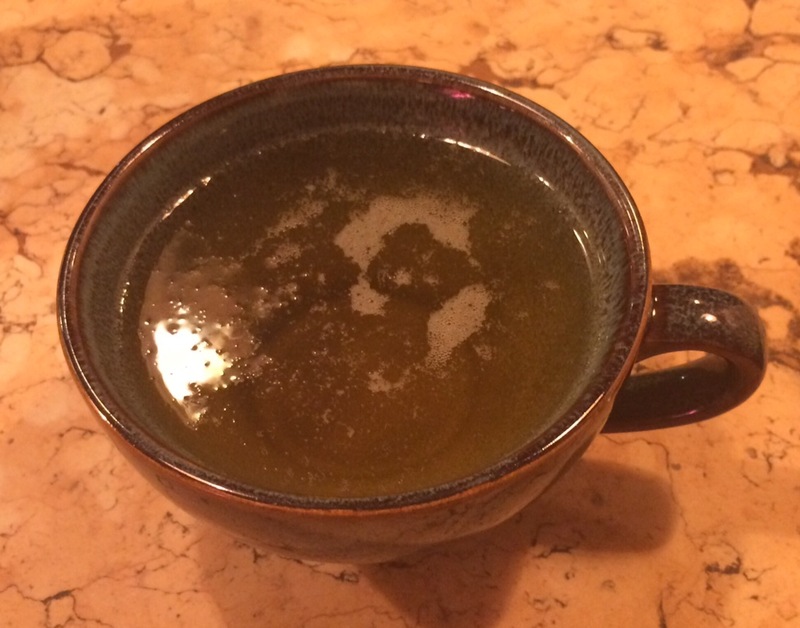 The tart, fruity cider went well with the galette, which was beautifully crisp and lacey. The salty, creamy cheese and sweet honey balanced each other out well. Opening hours: Open from Monday to Thursday from 10:00 to 22:30, on Friday and Saturday from 10:00 to 23:30 and on Sunday from 12:00 to 21:30. 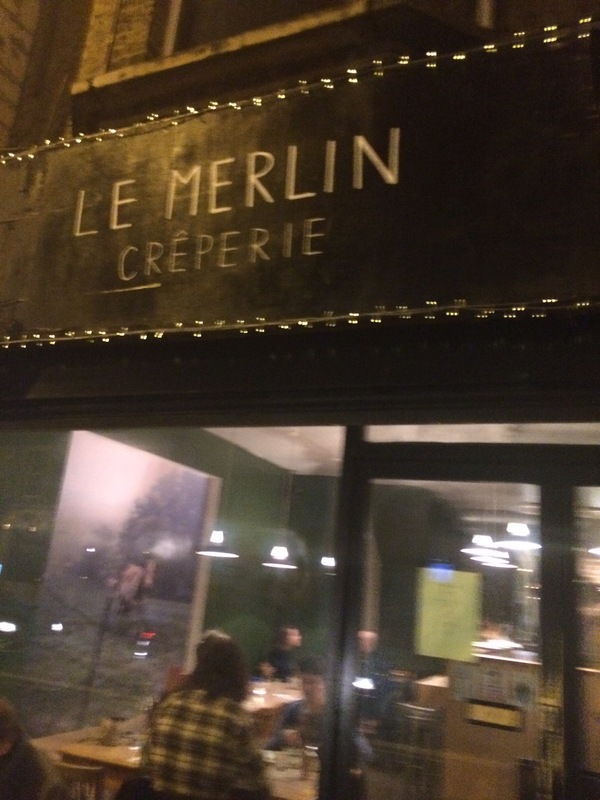 If you go down to hipster Clapton and successfully navigate the sea no-frills coffee shops, lumberjack shirts and fixie bikes, you’ll find Le Merlin. Apologies to Daffy, Donald and friends (and non-meat eaters), but after going to Le Merlin a few days ago, I’ve been dreaming about the duck confit galette ever since. Address: 78 Lower Clapton Road E5 0RN. Nearest tube station: Hackney Downs. Opening hours: From Tuesday to Friday 11:00 to 15:00 and 17:30 to 22:00, 10:00 to 22:30 on Saturday, 11:00 to 20:30 on Sunday and closed on Mondays. 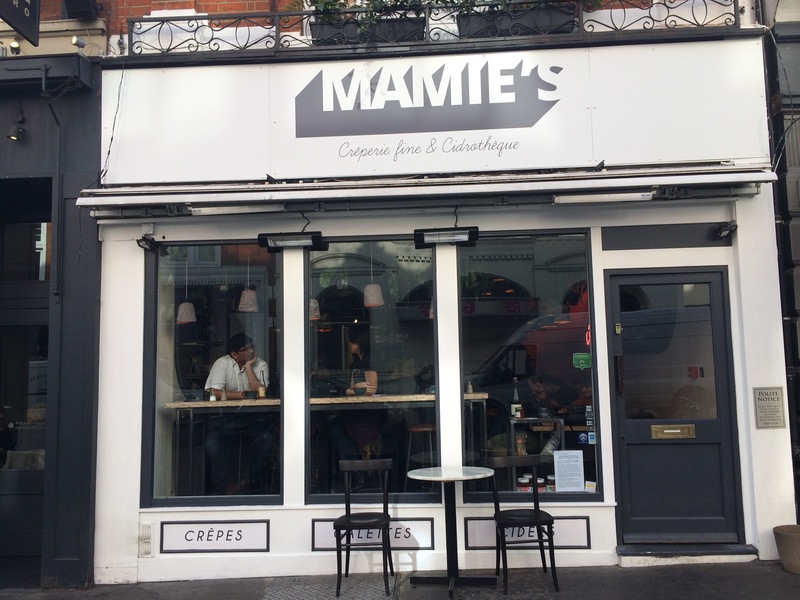 Once upon a time, a group of crêpe-loving pioneers spent their weekends touring London’s markets and feeding grateful Londoners with their handmade crêpes… until one day in 1980 when they had the idea to set up a permanent base and La Crêperie de Hampstead was born. In the interests of, erm, blogging research, I had a cheese and spinach galette and a chocolate and hazelnut crêpe, which were both lovely. The cheese and spinach galette in all its glory. 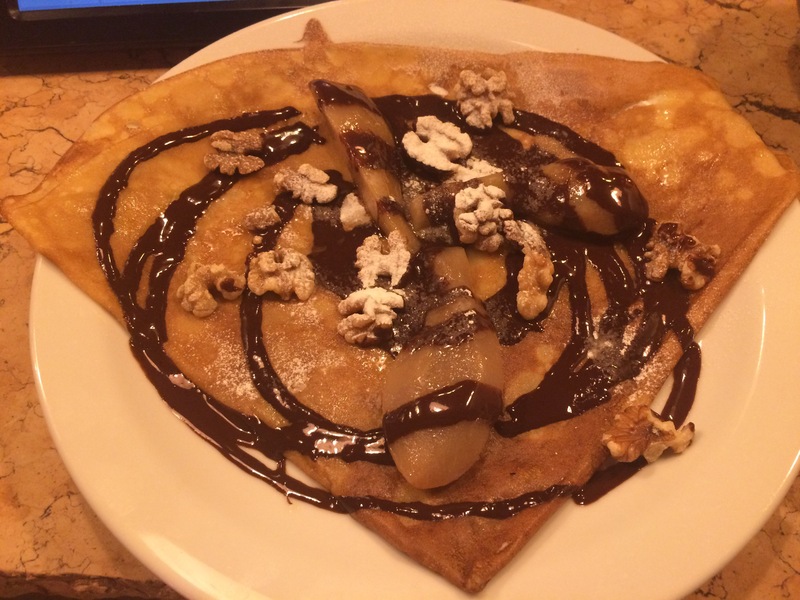 Belgian chocolate, hazelnut and cream crêpe – arteries be damned. Address: 77a Hampstead High Street NW3 1RE. Opening hours: Open from Friday to Sunday from 12:00 to 23:00. 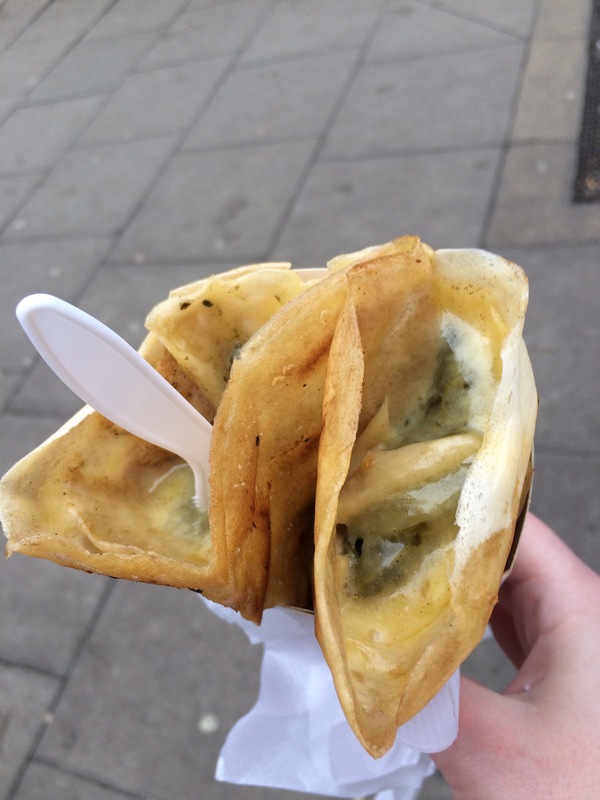 Have you been to any of the crêperies on this list? 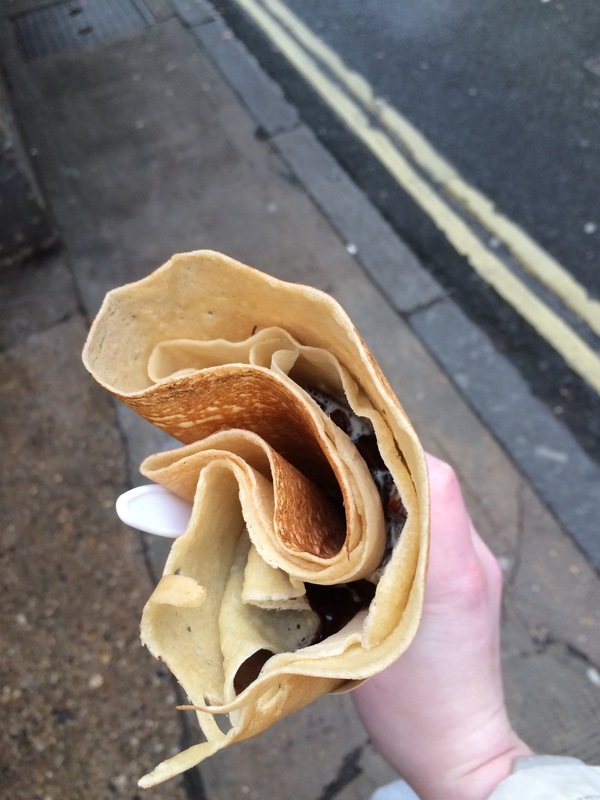 Any crêpe places you love that I’ve missed out? And if reading this post has made you hungry, why not check out my list of London’s best French bakeries here?